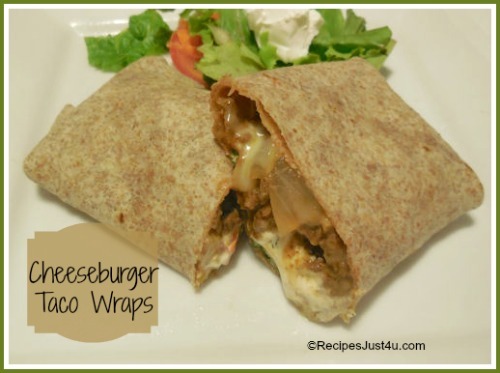 Cheeseburger Taco Wraps for lunch anyone? 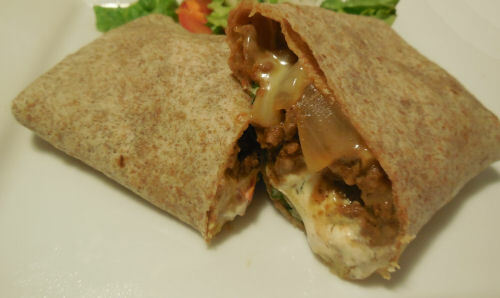 You can even make these wraps with your own homemade taco seasoning mix. The recipe is fast and easy to do which makes it perfect for a busy week night. You will have it on the table in less than 30 minutes and the family will love it! Brown your beef, onions and garlic over medium high heat until the meat is no longer pink and the onions and garlic are translucent. This will take about 5 minutes. Add the ketchup, taco seasoning, mustard and Worcestershire sauce. Stir to combine well. 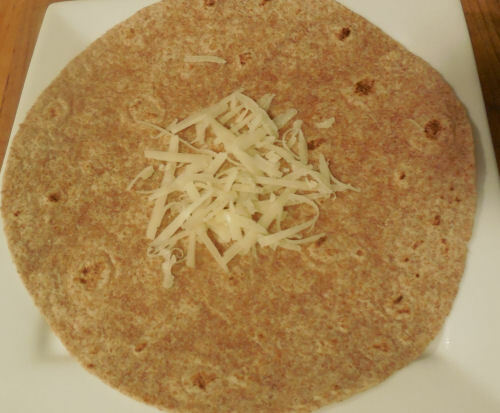 Place a little cheese on your tortilla shell. Don’t go too close to the edges. 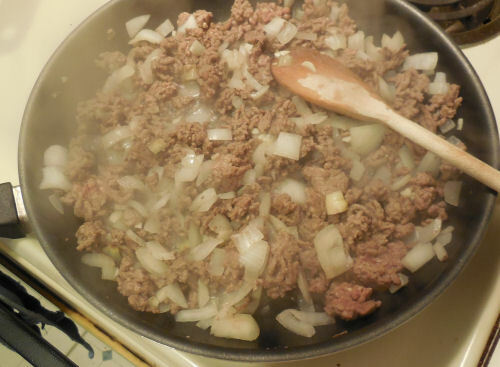 Add the beef mix, some toppings, a bit more cheese and sour cream. Fold the ends in and wrap, seam side down. Heat in the microwave for about 1 minute until the cheese has melted. Serve with a side salad and spicy Mexican rice. Brown the beef in a non stick pan. Add the onions and garlic and cook until they are tender. 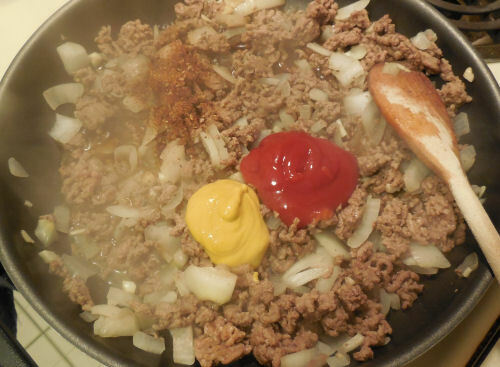 Stir in the taco seasoning, ketchup, Worcestershire and mustard. Combine well. Lay out the tortilla shells and add some of the meat to the center. 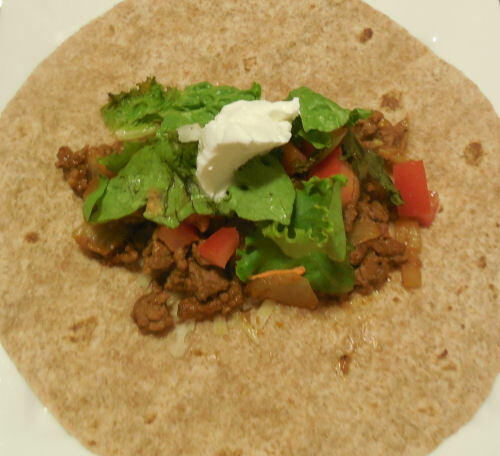 Top with cheese, tomatoes, lettuce and sour cream. Fold in the edges and roll. Place seam side down and heat for one minute each in the microwave.